Sinuses are the air filled spaces seen around the cheeks of the face and especially around the nose. It makes your facial bones even lighter. Because of cold, pollution, dusk mite, allergy, etc. Your nasal passages may get irritated and swollen and this may lead to the infection with a small inflammation called as sinus infection. Usage of proper medications and antibiotics may boost up your immunity level and functions effectively against these infections. In the market, many natural remedies are prevailing. Now, let’s see how oregano oil is used for sinus and also about the methods and properties for clearing sinus infection. Is Oregano oil Good for Sinus Infections? It’s obvious that, each one of you may have difference in opinions. Some may have confusions whether this oregano oil is good for sinus infection? The answer to your question is yes. Basically, oregano oil is the natural and secured solution for healing sinus infection and it also maintains body’s natural balance. Oregano is one of the well-known medicinal herbs predominantly used for both medicinal and culinary actions. Oregano Oil comprises of both antibacterial and antioxidant properties in it. Overall, it’s really beneficial for healing sinus infection. Oregano Oil comprises of two compounds namely thymol and carvacrol and these compounds exhibit an antioxidant, antibacterial and antifungal property which helps in healing sinus infection. Oregano Oil boosts your immune system just by employing its antibiotic properties. They prevent the reoccurrence of the infection to a great extent. Additionally, oregano oil helps greatly in reducing the pain and swelling around the nasal cavity. Overall, it helps in the flow of mucus around the nasal cavity easily and prevents the risk of increased sinus infections. Let’s see some of the best ways for treating sinus and other infections in the respiratory tract. Oregano oil in the diluted form is really effective for treating sinus and other issues. Here is the list of different ways of using oregano oil. How to do: Initially, Mix oregano oil into the vaporizer. After then, run the vaporizer for summing the moisture into the air and this will helps in clearing the nasal passages to a great extent. Just repeat this process as needed for clearing nasal passages. How to do: Neti Pot is one of the effective solutions and it clears the sinus infection by the help of direct irrigation. Mix one teaspoon of salt with oregano oil in 1 cup of hot water. Pour that water into the Neti pot. Now, slightly slant your head and pour it into one nostril. Ultimately, the water will flow out from another nostril. Once your breathing is clear, shift to another nostril. You can have this twice a day for experiencing desired results. How to do: You can also mix oregano oil in � cup of water. For clearing blocked nasal passages, just pour this mix into a diffuser. After then, run the diffuser for achieving effective outcomes. How to do: In your bathtub, pour some oregano oil and mix the oil with water. Now, Stir the mixture well and then take your bath and this will make yourself more comfy from the sinus infection. You can also add the oregano oil to the food and can have it healing sinus. Basically, oregano oil clears the infection to a great extent by the inhaling process. Inhaling the oil will help in healing the sinus problem. Firstly, mix oregano oil to boiled water. Just bend your head towards the bowl and be cautious while bending your head since it may burn yourself. Cover the bowl and your head with some coverings for preventing the steam escape. After then, Inhale the steam for few minutes. This will eventually clears your nasal passage and keeps you perfect with fresh mind. You can repeat this process twice a day for achieving effective outcomes. Oregano Oil possesses powerful antibiotic property and this will lessen your sinus infection to a great extent. Carrier oil will reduce the strong characteristic and prevents the burning sensation in the oil. Mix oregano oil in carrier oil and dilute it by adding some water. Just place this mix under your tongue for few seconds. After then, rinse your mouth and follow the above method periodically for achieving better outcomes. Firstly, start your treatment with the trace amount of oregano oil and the gradually build up the dosage as indicated. Just consume the oregano for two weeks and then stop using it for next two weeks. You can also mix other kind of popular foods like milk, juice, and honey with oregano oil. 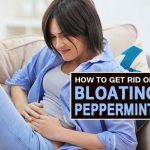 Always take oregano oil in full stomach. Also, don’t consume oregano oil if you are pregnant. Oregano oil can reduce the blood sugar level and so it’s better to avoid it if you have diabetes. If any allergic reactions are seen just discontinue the product and contact your doctor. Verdict: Overall, the oregano oil is one of the effective natural remedy for healing sinus infection. 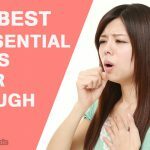 How to Use Oregano Oil for Colds? 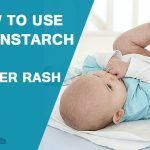 How to Use Cornstarch for Diaper Rash? 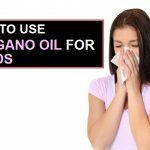 Oregano Oil for Sinus Infection :let’s see how oregano oil is used for sinus and also about the methods and properties for clearing sinus infection.